The library has shortened hours during Spring Break and is open 8 am to 5 pm today through Friday. The Reference Office is open 9 to 12 and 1 to 5. We are closed on Saturday, 3/26 and Sunday, 3/27. For more detailed hours information, see our hours page. Today, the U.S. Supreme Court held that Alaska is exceptional. “All those Alaska-specific provisions reflect the simple truth that Alaska is often the exception, not the rule.” Sturgeon v. Frost, No. 14–1209, slip op. at 14 (U.S. Mar. 22, 2016). President Carter’s actions were unpopular among many Alaskans, who were concerned that the new monuments would be subject to restrictive federal regulations. Protesters demonstrated in Fairbanks, and more than 2,500 Alaskans participated in the “Great Denali-McKinley Trespass.” The goal of the trespass was to break over 25 Park Service rules in a two-day period—including by camping, hunting, snowmobiling, setting campfires, shooting guns, and unleashing dogs. During the event, a “rider on horseback, acting the part of Paul Revere, galloped through the crowd yelling, ‘The Feds are coming! The Feds are coming!’” N. Y. Times, Jan. 15, 1979, p. A8; Anchorage Daily News, Jan. 15, 1979, pp. 1–2. Sturgeon v. Frost, No. 14–1209, slip op. at 4 (U.S. Mar. 22, 2016). Statutory language “cannot be construed in a vacuum. It is a fundamental canon of statutory construction that the words of a statute must be read in their context and with a view to their place in the overall statutory scheme.” Roberts v. Sea-Land Services, Inc., 566 U. S. ___, ___ (2012) (slip op., at 6) (internal quotation marks omitted). Sturgeon v. Frost, No. 14–1209, slip op. at 13 (U.S. Mar. 22, 2016). I thought this was an interesting case to cite because it also involves an injury occurring at an Alaska marine terminal. Perhaps it was a coincidence, but he could have cited any number of cases for the same language. By citing to so few cases and relying on a case that occurred in Alaska, the Chief Justice nicely reinforces the opinion's theme of Alaskan exceptionalism. Since President Obama's nomination of Merrick Garland to fill the U.S. Supreme Court seat left vacant due to Justice Scalia's death, the news and blogosphere have been filled with speculation on whether Senate Republicans will allow confirmation hearings to be held. Are you interested in other information about nominations during election years? Wonder no longer. Barry J. McMillion of the Congressional Research Service wrote a blog post on the subject. Nominations to the Supreme Court During Presidential Election Years (1900-Present) (March 16, 2016). The table illustrates how few nominations have occurred and their dispositions. For more information, take a look at the updated Gallagher guide on Supreme Court Nominations. The guide covers selected articles, books, other Congressional Service Reports, and websites on the nomination and confirmation process. Follow links to read about the American Bar Association's Standing Committee on the Federal Judiciary role in evaluating nominees to the federal bench and to HeinOnline's collection of nomination hearings going back to Justice Brandeis in 1916. Math lovers like to celebrate March 14 as Pi Day, because the first three digits of Pi are 3.14. We could say that today is extra special because the first five digits are 3.14159, which rounds to 3.1416. This NPR story has links to a couple of entertaining videos on Pi. Fun as math is, we're in a law school, where the more common sense of PI is Personal Injury. 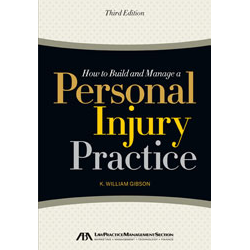 If you're interested in that practice area, check out this book from the ABA's Section of Law Practice Management: How to Build and Manage a Personal Injury Practice (2012), Gallagher Law Library Classified Stacks (KF1257 .G53 2012). Washington organizations for personal injury lawyers are the Washington State Association for Justice (plaintiffs side) and the Washington Defense Trial Lawyers. Law students can join the WSAJ free and WDTL for $10. Get to know your future colleagues!